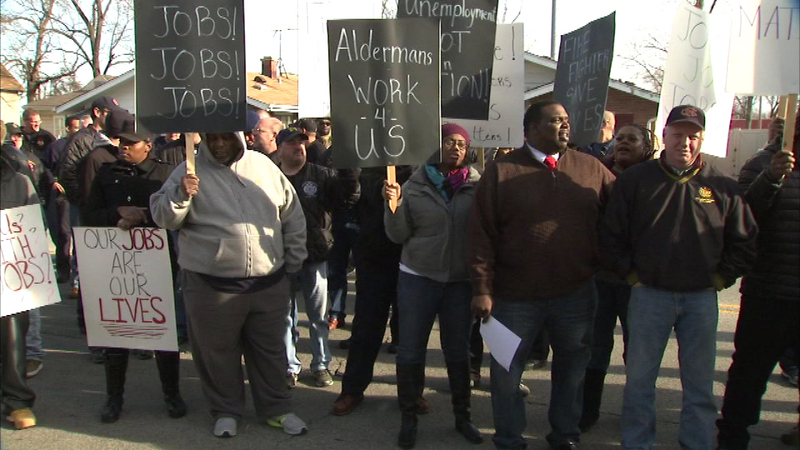 HARVEY, Ill. (WLS) -- A rally Sunday called for State's Attorney Anita Alvarez to remove a suburban alderman. Members of the American Federation of State, County and Municipal Employees union gathered in Harvey, wanting the removal of Lamont Brown, who they say lied about previous felony convictions before being elected. Protesters also said Brown wants to block a tax levy that would result in job cuts at the police, fire and public works departments. It is illegal for a convicted felon to hold municipal office in Illinois. In the 1990s, Brown pleaded guilty to felonies of selling illegal drugs and possession of a stolen automobile.